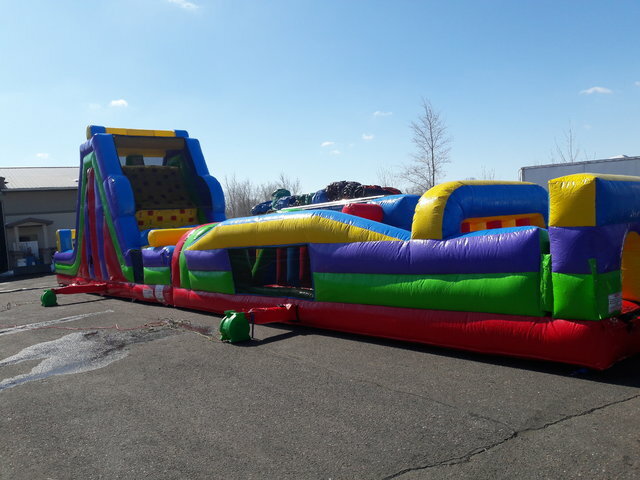 Meet our 65 FT Rock Climb Challenge Obstacle's BIG BAD Brother. This picture does not do justice to the size of this obstacle course's rock climb n slide. With 75 Ft adrenaline pumping fun. 2 racers squeeze, crawl, jump, duck, and maneuver through a variety of obstacles before reaching a mega 19 Ft climbing wall.